Imagine staying warm and toasty on a dive. You don’t shiver and you don’t have to come up early because you are just too darn cold! Diving in a drysuit seals you off from the cold water and that keeps you warm. It really is amazing! Each year, Rec Diving teams up with the DUI Drysuit team to gear up our divers for a dry suit test dive. If you’ve never tried it, now is your ideal chance. Join us September 7 & 8 at Gilboa Quarry for the annual DUI Demo Tour. Enjoy some fun diving and try something new! Stop by Rec Diving to get your tickets for the event and be sure to let us know you’re coming! It’s a great chance to meet other divers from Rec Diving and we look forward to seeing you at the Rec Diving staging area. We’ll have plenty of dive buddies and we are all looking to log some fun dives and share our knowledge of diving dry. So what are you waiting for? Join the fun! Click here to request more information. Check out the Demo Tour event site here. For one week you live like a millionaire aboard a custom dive yacht. For seven blissful days you dive, eat and sleep. What more is there, right? There is simply no better way to get as much amazing and varied diving packed into one week. It’s no wonder so many divers love to liveaboard dive. And right now you can save big on some of the best liveaboard dive boats out there. Click here to find out more. Gov. 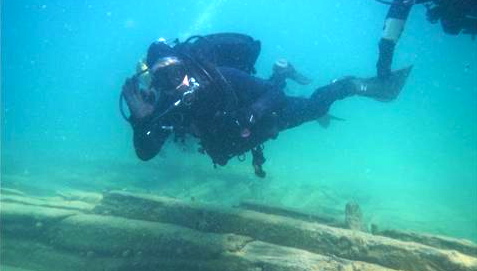 Snyder, who is a certified scuba diver, explored the Monohansett, a double-decker wooden barge that sunk in Lake Huron back in 1907. The shipwreck is located in the Thunder Bay Marine Sanctuary off the coast near Alpena. The dive was part of an effort to promote scuba diving for the “Pure Michigan” tourism campaign. If you are lucky enough to dive the Great Lakes, you know that every dive is a special adventure! The Governor wasn’t the only one making a splash in the Great Lakes this week. Some proud Rec Divers marked a few diving milestones during the Rec Diving trip to the Straits of Mackinac Shipwreck Preserve. 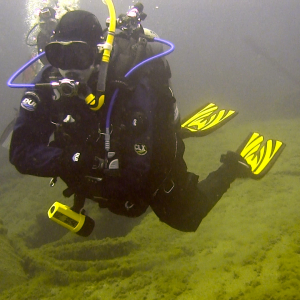 Dive Leader Candidate, Matt Ingber logged his 100th dive on the Minneapolis, a steamer that sunk back in 1894 and now lies beneath the water near the south tower of the Mackinac Bridge. The viz was great, the weather perfect and a boat full of Rec Diving buddies were there to cheer on our new Century diver. Congratulations Matt! Big Rec Diving congratulations also go out to Nathan Accord for achieving his Advanced Open Water Diver rating. Way to go Nathan, we are proud of you! The weekend was fun-filled and action-packed as usual. In addition to the Minneapolis, we dove the Fred McBrier, the Cedarville, the William Young, the Cayuga and the Northwest. Enjoy this video of the Cayuga and the Northwest shot by Matt Ingber. This up close and personal encounter with a whaleshark made this dive in Costa Rica simply outstanding! You never know when a gentle giant is going to show up, but we do try to time our visits to “whaleshark stomping grounds” to get our best chance at an exciting underwater swim with them. Contact us for a custom quote when you are ready to plan your next big diving adventure. We specialize in booking these kinds of getaways. We dive these places ourselves and we are happy to provide the service of passing on the first-hand knowledge and insider tips that can make a good dive vacation a great one. Green sea turtles eating more plastic than ever, researchers say. Endangered green turtles are ingesting more man-made debris, including potentially lethal plastic products, than ever before, a new study has found. The study, published in the journal Conservation Biology, showed that six of the world’s seven species of sea turtles have been found to ingest debris, and all six are listed as globally vulnerable or endangered. All the Cool Critters Come out at Night! Night and Limited Visibility diving opens up a whole new world of diving experiences. Rec Diving’s Night & Limited Visibility Diving Specialty Course is packed with practical information about planning and conducting these dives for fun, adventure and exploration. Like all of our courses, this one is designed to prepare you for your adventure and to make sure you have a good experience diving comfortably and confidently. Take the course in this summer’s diving season. We’ve still got a few good weather weeks left and our local lakes and quarries are ideal for getting practical experience diving at night and in limited visibility conditions. Remember, just because the visibility is limited, it doesn’t mean the diving opportunities are. The colorful nocturnal creatures glowing under a dive light create a spectacular, surreal combination. 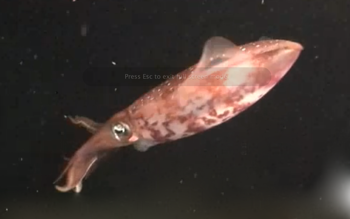 Watch what happened when a squid joined our group of night divers in Bonaire. We couldn’t take our eyes off this incredible creature, but the squid was just as interested in us! Here’s a really cool bonus! If you completed Open Water Certification this year, taking the Night and Limited Visibility Diving Specialty will automatically enter you in our drawing to win a trip to Belize! This opportunity is for new SSI divers who are open water certified in 2013 and enroll in at least one SSI Specialty class in 2013. 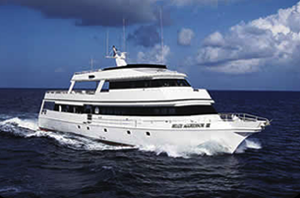 For each Specialty you complete you will automatically be entered into the Sun Dancer Liveaboard Yacht (out of Belize) Trip Drawing to be held January 15, 2014. These specialty classes are a great way to gain experience, confidence and skills in the water. 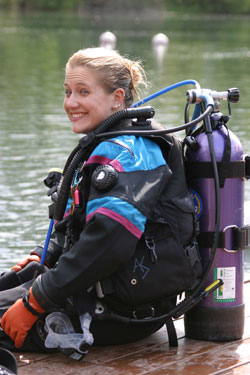 Continuing your diver education adds so much more to your dive experiences. Complete any of these classes and you will be entered into the drawing for the trip to Belize. What are you waiting for? passion for diving! Click here to get started today! https://www.recdiving.com/wp-content/uploads/2013/08/Squid350.png 219 350 Diane Richards https://www.recdiving.com/wp-content/uploads/2017/09/RecDiving_logo.jpg Diane Richards2013-08-13 12:21:502017-09-20 09:14:45All the Cool Critters Come out at Night! As a general rule, at Rec Diving we select a travel destination for the good diving, but no matter what amazing or exotic location we journey to, we always recommend exploring the culture, history and wildlife topside as well. Divers are clearly adventurous at heart and curious in nature. We spend hours, sometimes days, getting to some of the most remote destinations for diving, so why not enjoy the wonders above the water line too? We recommend adventures designed to immerse you in the culture of a place or uncover the character of a destination. As with all of our diving itineraries, we always recommend the best local guides available. In our experience, the best guides can make the difference between a good trip and an outstanding one! Cage Dive with Great Whites in South Africa and add on a customized Safari (See amazing Trip Video below)Contact us when you are ready to take your next trip to get the best underwater experience and perhaps add some topside adventure too! Rec Diving Welcomes 15 New Divers – Congratulations! Rec Diving’s latest Open Water Weekend had it all – beautiful weather, great dives and 15 brand new divers! Among the fantastic group of students joining us at Gilboa Quarry were members of six different families. There were parents and kids of all ages, and nothing made our team of instructors prouder than to welcome the next generation. All of the students did great and we look forward to diving again with each and every one of you! 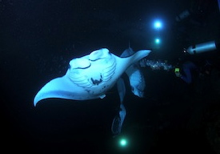 https://www.recdiving.com/wp-content/uploads/2013/08/1-640x350.jpg 350 640 Diane Richards https://www.recdiving.com/wp-content/uploads/2017/09/RecDiving_logo.jpg Diane Richards2013-08-08 07:53:202017-09-20 09:15:27Rec Diving Welcomes 15 New Divers - Congratulations! Cocos Island, some 300 miles off the coast of Costa Rica, is among the best dive destinations to get up close and personal with sharks. Here the night dive is a MUST! 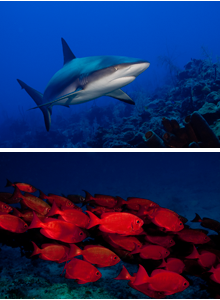 Countless sharks blanket the reef in packs looking for small fish hiding in the coral. It is always a diving highlight on the Rec Diving itinerary. Contact us when you are ready to experience this place where time forgot. Why use a Dive Travel Specialist? We are asked all the time why it makes sense to use a dive travel specialist to book a dive trip. One of our recent dive travel clients summed it up perfectly. He told us he had googled “diving vacation in the Caribbean” and came up with 17 million results! Yep, he needed a little help narrowing down his dive vacation options. That’s what dive travel specialists do. Based on your interests, likes, needs, skills and budget, we come up with the best options for your adventure. It doesn’t cost you more, as the destination pays our commission, NEVER the customer. Our goal for you is an enjoyable, carefree vacation based on your desires. Because we have been diving in all of the locations that we offer, we can give you impartial advice on the best place to dive on your vacation. And best of all, we specialize in some of the world’s most exciting dive destinations! Below we share with you just a few of the reasons why we dive. There is so much beauty underwater and we love to help you connect with it and enjoy it as much as we do. We hope to dive with you soon, or help you create a memorable dive vacation! https://www.recdiving.com/wp-content/uploads/2013/08/PalauSunset220.png 146 220 Diane Richards https://www.recdiving.com/wp-content/uploads/2017/09/RecDiving_logo.jpg Diane Richards2013-08-01 09:36:482017-09-20 09:17:10Why use a Dive Travel Specialist? Diver’s on the Kona Aggressor II enjoy their dinner topside on ‘Manta night’. This way you can watch as the excitement builds. Imagine this: the sun has now set, replaced by a light blue glow of snorkel and dive lights, the show is starting. There is an estimated 60 resident Manta Rays living in Kona and on a good night there can be 20+ Mantas at the ‘camp fire’. Mantas are usually sighted all over the surface scooping up mouthfuls of plankton. Diver’s nestle themselves between lava rocks, laying as low as possible giving the graceful giants room to make their acrobatic somersaults as they funnel in plankton. Watching the Manta Rays as they dance in the spot light is absolutely phenomenal and a dive that you will cherish for the rest of your life. It’s a wonderful way to spend the evening and enjoy Kona’s night life at its best. It is also one of Rec Diving’s favorite dives off the Kona coast. https://www.recdiving.com/wp-content/uploads/2013/08/MantaNight220.png 154 220 Diane Richards https://www.recdiving.com/wp-content/uploads/2017/09/RecDiving_logo.jpg Diane Richards2013-08-01 07:14:172017-09-20 09:17:35What is Manta Night?